Please Note: Bellevue Shambhala Meditation is on break. Please check out our other open sitting opportunities in the Seattle area including on Mercer Island. The Shambhala Bellevue Meditation Group offers meditation practice and discussion on Tuesday evenings. Whether you are new to meditation or have been practicing for awhile, and regardless of your religious affiliation, you are welcome to join us! We offer meditation instruction to anyone interested. There will be open discussion and exploration of topics related to our practice, within a supportive community. Through our meditation practice we develop the possibility of meeting our everyday activities with mindfulness, awareness, peace, wisdom, compassion and a sense of humor. 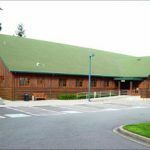 We meet Tuesday evenings in the fireside room at the Highland Community Center at 14224 Bel-Red Rd, Bellevue, WA 98007. 6:30 PM (Optional) Meditation Instruction for beginners or for people that have questions. Note that occasionally there may be a change in the schedule — so it’s always good to check the calendar before you come, to be sure we are meeting on any given Tuesday. Bellevue Shambhala also offers specific introductory classes from time to time, which will appear in the calendar, and in the general listing of introductory classes.